What Is the Best Inshore Saltwater Spinning Reel? Are you a needy fisherman looking for an inshore saltwater spinning reel? Well, you need to get a reliable spinning reel because saltwater is indeed unforgiving compared to fresh water. Fishing with the best inshore saltwater spinning reel will give you a very relaxing and rewarding experience. Fishing is always a good idea for a weekend activity, and inshore salt water fishing is even more exciting! Inshore saltwater spinning reel should have better performance than fresh water spinning reel. You definitely don’t want your fishing experience to be spoiled by the corrosion of your spinning reel. Ensure that you get yourself the spinning reel that is made of stainless steel (and other non-corroding elements), which guarantees that your fishing reel is not corroded by the unforgiving salty water. No one wants to spoil their fishing experience by getting worn out along the way because of a crappy spool. That is why we highly recommend a larger spool diameter for your inshore salt water spinning reel. Unlike fresh water spinning reel, a good salty water spinning reel should have a larger spool than the rest of the fishing reel body. The larger spool diameter makes your fishing much easier because it increases the line pick-up rate due to a longer casting distance. If your spool diameter is not large enough, it will be difficult to generate any meaningful casting range, due to spool drag while casting. For a more rewarding fishing adventure, go for the inshore fishing reel with deeper spool depth. Deeper spool depth assures you of enough line when catching larger fish. This will save you the much trouble of running out of fishing line while fighting with a big catch (this is as bad as it sounds). When it comes to the material, choose a spool that is made of aluminum or graphite. For first timers, we advise you to get the graphite one because you will not be spending so much time fishing and it is easier to learn with the graphite spool. Graphite spools are lighter, compared to aluminum, and considering that graphite is not metal, they are non-corrosive. Aluminum on the other hand, though corrosive, is more durable and much heavier. Another point to note is that salt water spinning reels are relatively heavier and much more expensive. This is due to anodized non-corrosive components that it is made up of. Obviously, you do not want to spend extra time in the waters. For a memorable and well spent period fishing, get yourself a fishing reel with a fairly high gear ratio. The gear ration of your spinning reel determines how comfortable your fishing will be. The gear ratio determines how fast you will be able to retrieve the line considering the amount of pressure you use to spin. Go for the spinning reel that has larger handle for a better grip. Buy the spinning reel with an anti-reverse handle. Think of a situation whereby you have a big catch, but then as you reel in the catch you are turning your handle anti-clockwise. In this mishap, the fish overpowers you and the line unwinds so you got to restart the process. Rather annoying, right? Have in mind the line too. All the above aspects would be useless if the line is going to fail you in the waters. Regard the species of fish you are going to catch. Salt water spinning reels are often made for bigger fish. For your inshore fishing, go for the heavier lines as they will deal well with the abrasive actions from the rocks too. 1). If you are looking for the finest inshore saltwater fishing reel, Stella SW-B 5000HG Spinning Fishing reel is Shimano’s the one for you. The reels are perfectly designed and manufactured for the uttermost power, durability and quality. This mind blowing package is the finest of skill Shimano has in store for you, showcasing the most recent technologies. Its internal gears are precisely cut, coated and aligned to reduce corrosiveness and drag. You will definitely appreciate this alignment of components because it gives the best reeling experience. This heavy duty spinning reel has its body and drag fully sealed to eliminate any coincidental of corrosiveness. The reel is designed to function flawlessly thanks to its 15 bearings that will fight and pin down the hardest fighting fish. Having been Nicknamed “the king of saltwater spinning reels”, let us look at its pros and cons. Its construction can only be described as high-end, with a fully metal body and gears which are fully sealed with aluminum. The bearing count is 14+1 bearings which are fully sealed. 2). Affordable and very reliable Penn Battle II Spinning Reel is a dependable option for your inshore saltwater fishing. This particular spinning reel is the number one option with most features at the most affordable cost, of under $100. Penn Battle II comes with a metal construction of the rotor and side plate. The bail comes with an aluminum wire to ensure the reel’s utmost durability. The reel is as well reliable when catching big fish, with its special grease features. The grease features also resist corrosion, so you can never go wrong on this. Penn II fishing reel has a smooth or rather fluid startups to make sure everything moves easily. With Penn II, you are able to use washer on both sides of the reel to ensure maximum number of drags. The spinning reel notably, has six stainless steel ball bearings which ensure smoother reeling and they have an anti-reverse bearing. Another advantage of Penn Battle II is that it is easy to disassemble as well as to disassemble using standard screwdrivers. People do not usually prefer the blue grease. They prefer oil instead. When working with the anti-reverse bearing, small parts may get finicky. Some users complain that the package does not provide enough details on the reel. 3). 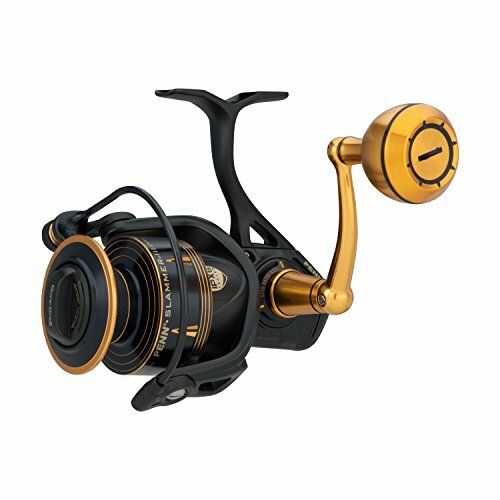 If you are looking for a durable saltwater spinning reel, then go for Daiwa Black Gold; BG Spinning Reel. Durability is always a priority when choosing a spinning reel, considering that you are going to venture into the salty waters. 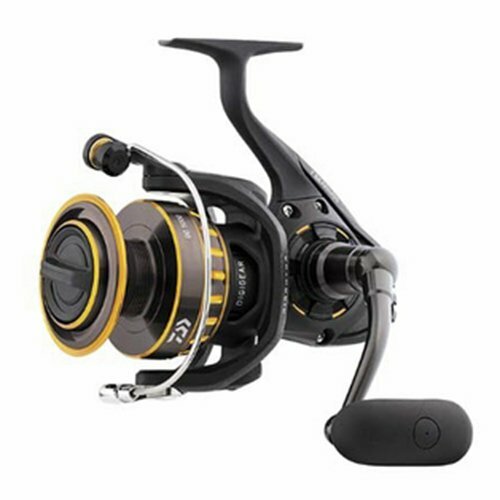 So as to ensure its durability, Daiwa BG saltwater spinning reel boasts of corrosion resistant features including; its black anodized custom-made aluminum housing. The housing includes the side cover as well as the hard boyz body. Another striking feature that adorns this particular reel is its smoothness. The kind of smoothness that can only be experienced with Daiwa BG saltwater spinning reel. The reel comes with an oversized digigear system which increases the torque and hence more power when retrieving larger fish. 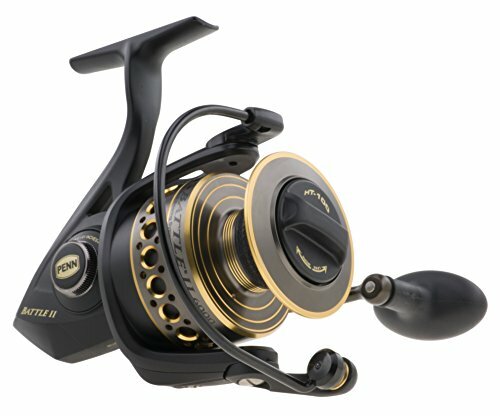 Daiwa BG spinning reel employs a unique solid crew-in handle design which gives you a more tangible and solid feel as you crank the handle. The reel also boasts of an air-rotor design which enables it to be balanced and even lighter. The reel has a dynamic aluminum ABS spool for a good castability. The reel comes with seven anti-rust ball bearings. The weight is a bit heavier. 4). 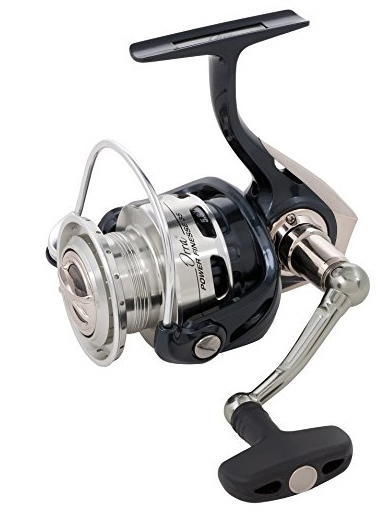 The fourth on our list is Penn Slammer III Spinning Reel. When it comes to retrieving large fish in your grip, this one is definitely the best. The Penn Slammer III Spinning Reel comes with a full metal body and a stainless steel body. This spinning reel is custom made to brave the unforgiving pangs of the salty waters. This fishing reel is sealed with a notable IPX6 rating that allows it to be sprayed from any side while washing without worrying about water getting into the gears. You can choose from the variety of the 8 models of Penn Slammer III that range from 3500 to 10500 models so you can be sure to reward yourself with the model that befits your targeted species. It comes with a full metal body, rotor and side plate for a smoother retrieve and a longer lasting reel. 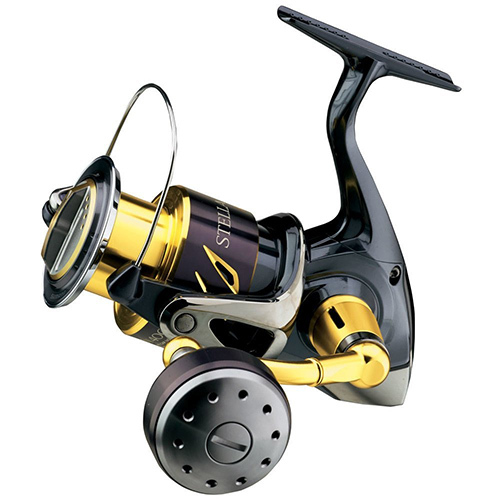 The reel uses CNC Gear technology which uses brass for more power and durability. It comes with a heavy duty design. The weight that comes with the heavy duty design is a bit heavy. 5). Looking for the definitive power finesse reel, The Abu Garcia Orra power Finesse ORRA is your one stop shop. This reel is adorned with a wide spool which guarantees low line memory which is the best for fluorocarbon lines. It comes with 8 stainless steel bearings and a roller bearing which increases the reel’s protection from corrosion. The HPCR bearings also maintains a smooth and consistent operation. For your power finesse applications, this reel is a masterpiece because of its 5:8:1 gearbox, which delivers a relatively fast retrieve of your big catch. It comes with an ARC-6 body design that is a combination of C6 carbon body and an x-crafted gearbox, for a lightweight make that aligns the gears perfectly. Its rocket-line management ensures that you have a better control of all kinds of fishing lines. For a better control of the line coming off from the spool, the spinning reel is customized with a rocket spool lip. For more complex inshore fishing, you may need to use a larger spinning real because this particular reel does not have as many gears. Inshore saltwater is one of the lesser known types of fishing today yet it can be a fantastic pastime. It is fast becoming one of the popular options for fishermen especially those just starting out. However, what is inshore fishing? Inshore saltwater fishing is very much like regular fishing with the exception that you fish in shallow waters, very shallow. This however can be extremely fun and exciting because you get to enjoy fishing without too much stress or power needed. You can stand at the edge of the shoreline or just dip the toes in the water and wait for the fish to take the bait. Usually, the fish you catch here are twenty pounds or less, probably considerably less. However, when you look at inshore saltwater fishing you don’t need a variety of reels as you are aiming for the smaller fish. It doesn’t matter what you are hoping to catch, inshore fishing focuses on the smallest fish meaning you can usually use the same spinning reel for most types of fish.